A luxurious and concentrated formula enriched with a blend of superior eye regenerators and powerful hydrating agents that tightens, brightens, and revitalises the delicate areas of the eyes. It alleviates the appearance of puffiness, dark circles, and signs of fatigue with a unique combination of botanical actives. The lightweight texture easily absorbs into the skin for instant perfection, rendering the eyes look brightened, luminous and youthful. Artichoke leaf peptides: It counteracts the loss of elasticity, dryness and deepening of wrinkles caused due to hormonal imbalance. Pelvetia canaliculata (Channeled Wrack) Extract: Obtained from brown algae, it contains growth factors and isoflavones, which inhibits free radicals and stimulates the synthesis of collagen. 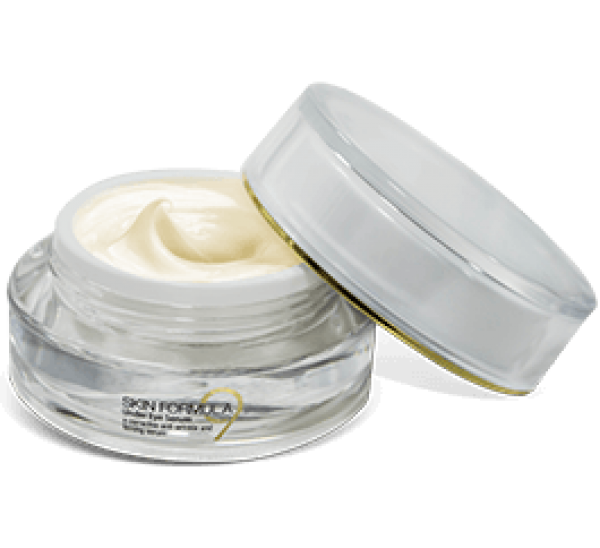 It moisturises skin, improves tone and firmness by reducing the appearance of fine lines and wrinkles. Caffeine: Extracted from coffee beans, it refreshes, restores lost radiance and reduces puffiness under the eyes. It also detoxifies the tired tissues under the eyes. Pinus Pinaster (Pine) Bark extract: It neutralises free radicals, thus protecting collagen and elastin and helps to maintain the skin moisture and elasticity.